Every crop protection product that reaches the market costs $286 million and takes 11 years of research and development to ensure the highest safety and efficacy standards, according to relevant reports. The cost of bringing a new product to market has increased by 55 percent since the turn of the century. With the increasingly emerging issue of resistance, pesticide product structure has changed as well. How does present pesticide product structure look like? And how will it change in the future? 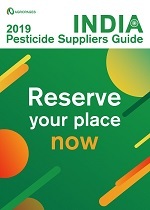 AgroPages is hereby making a summary of newly registered or launched pesticide product in global market, which will allow you to have a basic understanding of present pesticide product structure and future tendency of development. With widespread use of herbicides, over recent years more and more weeds have become resistant to glyphosate , triazine herbicides, ALS inhibitor and ACCase inhibitor herbicides. So far resistant weeds have become a continuous challenge to the weed management all over the world. The issue of resistant weed is getting more and more serious, which has become one of the urgent problems to be solved by all crop protection-oriented enterprises. Looking back to the worldwide registrations and lauched herbicide over last several years, you may note that multinationals have preferred to the development of herbicide with new action mechanism, including the HPPD inhibitor, which has become a key herbicide variety launched by multinationals in 2016, attributable to its multiple advantages such as the distinctive action mechanism and the feature of non-cross resistance with exciting herbicides. In 2015, Syngenta’s latest corn herbicide Acuron® (bicyclopyrone+ atrazine + mesotrione +S-metolachlor) obtained registration in US, being the first-time registration of bicyclopyrone product in the world. Bicyclopyrone is a kind of HPPD inhibitor newly developed by Syngenta, which is capable of controlling effectively various broad-leaf weed and intractable grassy weed in corn field including resistant weed. In 2016, the other two Acuron®-based products - Acuron® Flexi (bicyclopyrone + mesotrione + S-metolachlor) and Talinor (bicyclopyrone + bromoxynil), obtained registration in US. Also Acuron® Uno (bicyclopyrone) was released to Uruguay. Since then Syngenta opened up the process of registration and launch of bicyclopyrone product series, based on which the control of herbicide-resistant weed in corn field is brought into a new era. Topramezone is the first herbicide variety of the kind developed by BASF, which is an HPPD inhibitor, mainly used for grassy weed and broad-leaf weed in corn field, being effective on control of glyphosate-resistant weed. Since its initial launch in 2006, topramezone is regarded as so far the safest herbicide among all corn herbicides, and is widely recognized as a promising product in the corn herbicide market. In 2016, BASF launched to Canadian market the topramezone and dimethenamid-p mixed admixture product - Armezon® PRO, which is of fast and broad-spectrum residual effect on grassy weed and broad-leaf weed in corn field. As a superior HPPD inhibitor herbicide, the worldwide sales of topramezone over recent years are growing year by year. The global sales of topramezone in 2014 reached $85 million, which is still expected to grow due to its great potentials. In 2016, the corn herbicide DiFlexx® DUO of Bayer CropScience obtained registration in US, having become the first admixture of dicamba and the HPPD inhibitor tembotrions. This unique formula, plus the patented CSI™ safener of Bayer CropScience, enables DiFlexx® DUO to become a latest technology for control of obstinate weed. This herbicide is not only of broad spectrum herbicidal effect which can control 100 kinds of grass and broad-leaf weeds, but also enables corn to be more resistant to herbicidal activity and to enhance root growth and crop health. 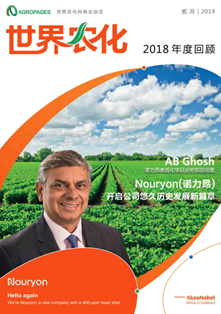 As a conventional herbicide industry leader, in 2016 Dow AgroSciences went for series of registration of its first synthetic auxin herbicides-halauxifen-methyl (with trade name of Arylex™). Arylex™ is a breakthrough in conventional herbicide development, it can be used in combination with other synthetic auxin herbicides. Following registrations in China, Australia and Canada 2 years ago, halauxifen-methyl was registered in US in 2016. 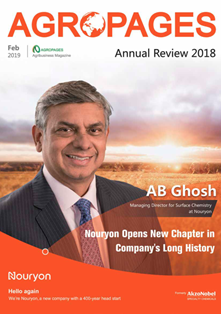 It is expected that Dow Agrosciences will launch the halauxifen-methyl formulation product Elevore™ in 2017, which will be used for control of broad-leaf weeds in soybean and corn fields including control of glyphosate and ALS inhibitor resistant weeds. Furthermore, this year halauxifen-methyl was registered also in Scotland, UK and Denmark, which signifies its entry into European market. SDHI fungicide refers to succinate dehydrogenase inhibitor, which is also called respiratory depression fungicide. Research and development of this kind of fungicide dated back to the 60’s last century, which experienced a fast development over last 10 years. 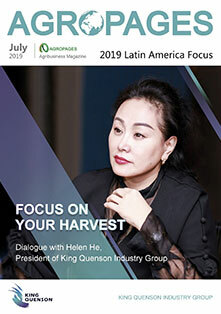 At present the global sales of SDHI fungicide are growing 30% on an annual basis, more and more multinationals take part in development and sales of the product. A summary of world-wide registration or release of fungicide product in 2016 reveals an obvious increase of SDHI fungicide registrations over that of 2015. According to Syngenta, SDHI fungicide is expected to become a major fungicide product in fungicide market in the coming 10 years. Benzovindiflupyr (with trade name of Solatenol™) is Syngenta’s SDHI fungicide launched to market in 2013, to be applied mainly to cereals, soybean, corn and cotton crops, which is reported to be the most effective product in history for control of Asia soybean rust. The sales of Elatus™ (benzovindiflupyr + azoxystrobin) reached $300 million in the first year after released to Brazilian market, having become Syngenta’s most successful product with highest sales ever in history. In 2016, benzovindiflupyr finally obtained registration in EU, which has played an important foundation for entry of the product into European market. In the second half of 2016, ELATUS™ Plus (benzovindiflupyr) obtained registration in France, which is the first-time registration of the Solatenol™ product in Europe, being expected to achieve $200 million sales in Europe. At present, benzovindiflupyr has become one of the most important strategic products of Syngenta. 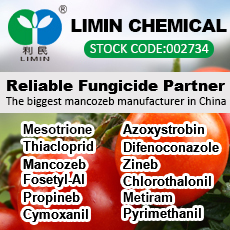 With more and more worldwide registrations of benzovindiflupyr and its admixtures, the product is expected to achieve $1 billion sales in future, which may possibly become a blockbuster fungicide to surpass azoxystrobin. As the No.2 selling product among SDHI fungicide varieties, since its release in 2012, fluxapyroxad has become one of the prime fungicide products in America and Europe used for cereals and soybean. In 2016, BASF’s Priaxor EC (fluxapyroxad + pyraclostrobin + tetraconazole) and Ativum EC (fluxapyroxad + pyraclostrobin + epoxiconazole) were respectively launched to UK and Brazil, which makes BASF’s fluxapyroxad product mix to be more complete. In the years ahead, BASF is prepared to go for registration of fluxapyroxad in some 70 countries for applications to more than 100 crops. The 5-year good performance of fluxapyroxad in Europe and America over last 5 years has enabled BASF to bring its peak annual sales of fluxapyroxad up to EUR600 million, which is 3 times of the sales expected at the beginning of the business. It is no doubt that this product is going to be one of BASF’s leading fungicide products. Fluopyram is a SDHI fungicide developed by Bayer CropScience for use in vegetable, fruit and cereals for control of powdery mildew, spot disease and oomycetes diseases. 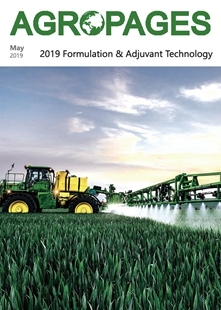 In 2016, Bayer CropScience processed registration of ingredient and made market launch preparations, for instance, the registration in Canada of the Luna Privilege (fluopyram), Luna Tranquility (fluopyram+ pyrimethanil) and Propulse (fluopyram+ prothioconazole), as well as the market launch of Luna Experience (fluopyram+ tebuconazole) in India. Because fluopyram can be both foliar sprayed and seed treated, it can be used in flexible manners. Therefore, there is a big room for further development of fluopyram. Bayer CropScience anticipates its peak annual sales to exceed $150 million. Plant nematode causes $100 billion loss to farming industry each year, which accounts for 12% of losses occurring to global crops. People are now paying more and more attentions to damages caused by nematode, but the use of high-toxic conventional nematicide has been prohibited or restricted with more stringent environmental compliance requirement being put in place by government and more food safety concerns being expressed by public. It has become an irresistible tenancy to develop safe and environment-friendly nematicide. In 2016, a novel environment-friendly nematicide and microbial nematicide were launched to market in succession. Fluopyram is not only a fungicide, but is an excellent nematicide (Bayer’s fluopyram ingredients), being also currently the only SDHI nematicide in the market. Bayer CropScience used to launch to US market its nematicide Velum® Total (fluopyram + imidacloprid), for the use in cotton and peanut. In 2016, Bayer CropScience obtained registration of its Velum® Prime (fluopyram) and Indemnify™ (fluopyram) in US, which are used for potato and lawn, as an extended use of the product. It is anticipated that in 2017 Bayer CropScience is going to launch to US market a fluopyram-containing nematicide - COPeO Prime, for the use in cotton field. Compared with other chemical nematicide, the action mechanism of fluopyram is very special, which not only controls nematode but also has the function of disease management. Nematode has been for long one of the strategic objects of control, in the eyes of Bayer CropScience. Over recent years, Bayer CropScience has adjusted the methodology of nematode control, having established a combination tool consisting of chemicals, biologicals, genetics and breeding, which provide an all-round way of prevention and control of nematode. Rizoflora has registered the fungal biological nematicide Rizotec, which is a pochonia chlamydosporia-based biological nematicide registered in Brazil for the first time. The product is not only nematicidal, but also enhances crop growth, and induces crops to be resistant to pathogenic bacteria. 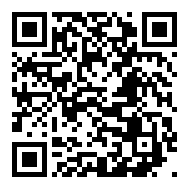 The Brazilian Simbiose also released recently its first nematicide NemaControl. The product uses a microbial bacillus, which can control nematicide and enhance yield. These new technologies and products will be of great help to upgrade fundamentally the agricultural production of Brazil to a high level. In 2016, the US Marrone Bio Innovations (MBI) launched to US market its biological nematicide Majestene. Majestene is a broad-spectrum and high-efficient natural biological nematicide, which is of brand-new action mechanism, as screened and discovered by MBI on its own. The product is currently used for potato, which is expected to be extended to the use in fruits and vegetables. With continued increase of cost of development of pesticide active ingredient, new use of approved pesticide has gradually become popular. As seed treatment agent can control seed-borne and soil-borne diseases at the very beginning of crop growth, it has been well recognized by more and more growers over recent years and has thus developed rapidly. The market value of seed treatment agent in 2014 reached $3.6 billion, which is expected to grow at compound annual growth rate of 10.6% in the years ahead. Its market value may reach $5.6 billion in 2020, the potential of growth should not be underestimated. In 2016, Bayer CropScience launched to Canadian market its seed treatment agent ILeVO™ (fluopyram). Prior to that, ILeVO was registered in US in 2014. It is the first seed treatment agent which can protect root system from SDS fungal infection, which is also of nematicidal activity. SDS exists in all soybean growing regions and is spreading over to new growing regions. It causes serious damages to soybean crop, the launch of ILeVO is of help to alleviation of this intractable disease. The world’s first corn microbial seed treatment agent Acceleron® B-300 SAT was launched in 2016 by BioAg Alliance, a joint venture between Monsanto and Novozyme. The seed treatment agent is developed based on Novozyme’s fungicide JumpStart® (Penicillium bilaiae), which can enhance significantly seed’s capability to absorb nutrient substance from soil. Monsanto said that all hybrid corn seed to be sold in US market in 2017 will be treated ex-works by Acceleron B-300 SAT. Seed and seed treatment agent will be sold as a package, which will become a marketing pattern of seed treatment companies in the future. In 2016, DuPont’s first oxathiapiprolin-based seed treatment agent DuPont™ Lumisena™ obtained registration in US, having become a most recent member in DuPont’s seed application technology-oriented product portfolio. DuPont believes that Lumisena™ (oxathiapiprolin) is a reflection of its most advanced seed application technology since the first-time registration of metalaxyl-M and metalaxyl in 1979. In the years ahead, the product will remain as a key product of DuPont’s seed treatment agent product portfolio. Furthermore, DuPont registered its corn seed treatment Lumivia™ (chlorantraniliprole) in Canada in 2016. It is the first seed treatment insecticide in Canada containing chlorantraniliprole, used in corn seed treatment for control of soil insect pest like wireworm, cutworm, armyworm and corn maggot. Biopesticide continued to grow in 2016. Looking at major biopesticide registration countries, it can be seen that main market of biopesticide in 2016 still stayed in North America and Europe, which is attributable to the degree of modernization of agriculture and the maturity of biopesticide market. The US biopesticide company Marrone Bio Innovations (MBI) and the Swiss biopesticide company Andermatt Biocontrol continued to perform well in the market in 2016, having released various biopesticide products. 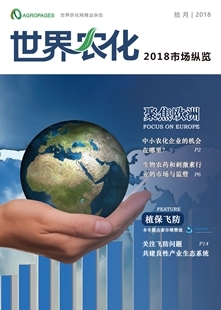 Under the general circumstance of decrease of profit of conventional chemical pesticide, sales and profit of biopesticide enterprises have increased against the adverse market trend. In the first 3 quarters of 2016, MBI’s sales income increased 43.9% over last year. For reasons of its modern agricultural concept and higher profitability, biopesticide has become a target market for many conventional chemical pesticide enterprises. There is a reason to believe that 2017 will witness more registrations and releases of biopesticide product. 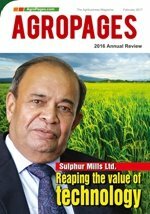 Please download AgroPages' latest magazine - 2016 Annual Review to see more.